This article originally appeared in Shropshire Business Magazine. Last autumn, a public and private sector partnership staged an interactive concept to motivate the townspeople and businesses of Shrewsbury to play an integral part in helping create the visionary plan shaping the future of the town. 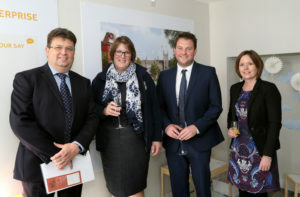 Shrewsbury BID, Shropshire Council and Shrewsbury Town Council came together in a partnership to jointly lead the exciting and ambitious programme which is now on course to deliver The Big Town Plan for Shrewsbury. 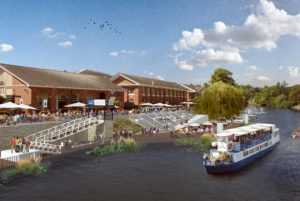 The idea was to provide a ‘pop up’ space where the public would have a physical place to go and share their ideas and comments on the outline Plan developed for consultation. This plan had been drafted following a series of workshops held last summer with over fifty local people and organisations participating. The ideas and conversations flowing from these sessions formed the basis of the outline Town Plan. It set out a vision and priorities and ambitions for the town to guide development and ensure it continues to evolve as a great place to live, work, visit and invest. In tandem, a dedicated website at shrewsburybigtownplan.org was launched featuring all the information and the opportunity to get involved. 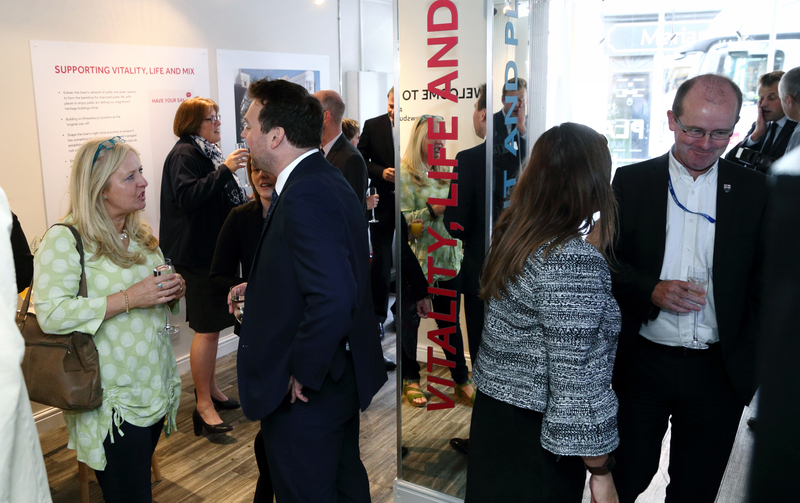 The informal consultation HQ was based within a vacant shop unit at 80 Wyle Cop where over 5,000 people visited over the three-week period to have their say and speak directly to members of the Big Town Plan team. The pop up allowed people to explore the Plan in an accessible and visible way with the four key themes of the Plan laid out together with visual concepts to stimulate response and feedback. 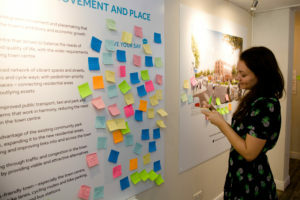 During the consultation period The Big Town Plan Team were on hand to explain and answer questions and encourage everyone to leave their thoughts and suggestions on post it notes across the display boards. This proved incredibly popular as a method of gathering opinion and ideas and over 2,000 post it notes were placed and have been recorded to feed into the next stage of the preparation of the Plan. 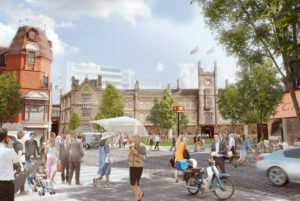 In January the partnership team will appoint Masterplanners to take the Big Town Plan to the next phase using information gathered during the consultation to shape the vision and develop an illustrative masterplan and urban design strategy which will identify and define key character areas and transformative projects within the town.